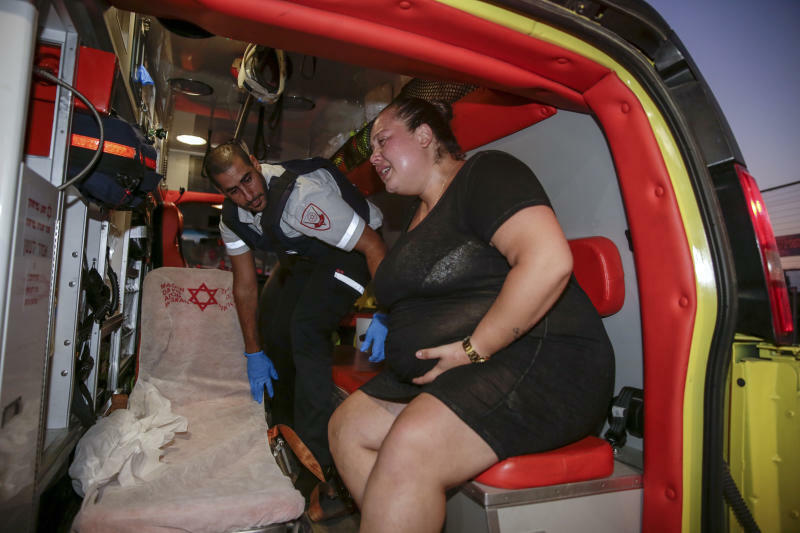 JERUSALEM (AP) — Israel struck targets in the Gaza Strip after dozens of rockets were launched Wednesday from the coastal territory ruled by the Islamic militant Hamas group, the Israeli military said. 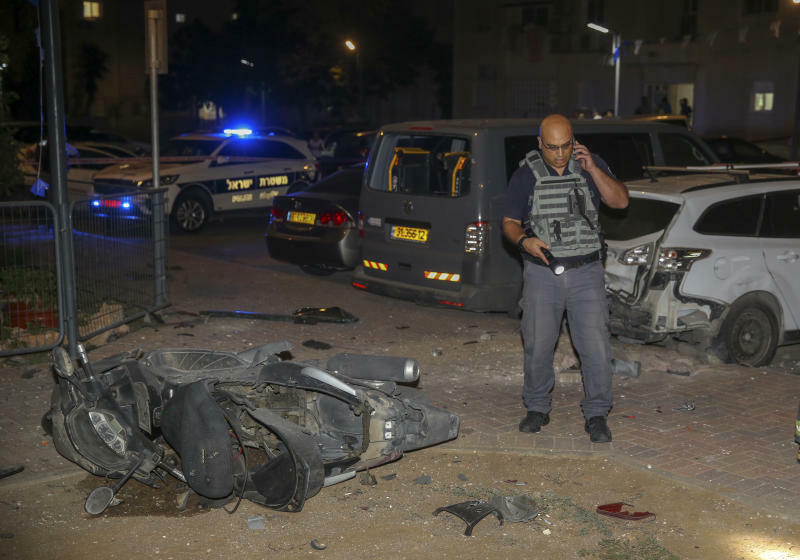 Sirens wailed in southern Israel, warning of incoming rockets from Gaza, and Israeli media reported six people were wounded by shrapnel in the border town of Sderot. One Palestinian rocket hit a house, Israeli media said, showing footage of houses and cars pockmarked with shrapnel. Reports said it wasn't clear if one of those hurt was wounded by a rocket or by debris from the rocket defense system. Israel's military later confirmed it struck Gaza, saying it hit 12 Hamas sites in all, including "an offensive maritime terror tunnel ... several terror sites in military compounds throughout the Gaza Strip ... rocket manufacturing facilities and a central logistical military complex." 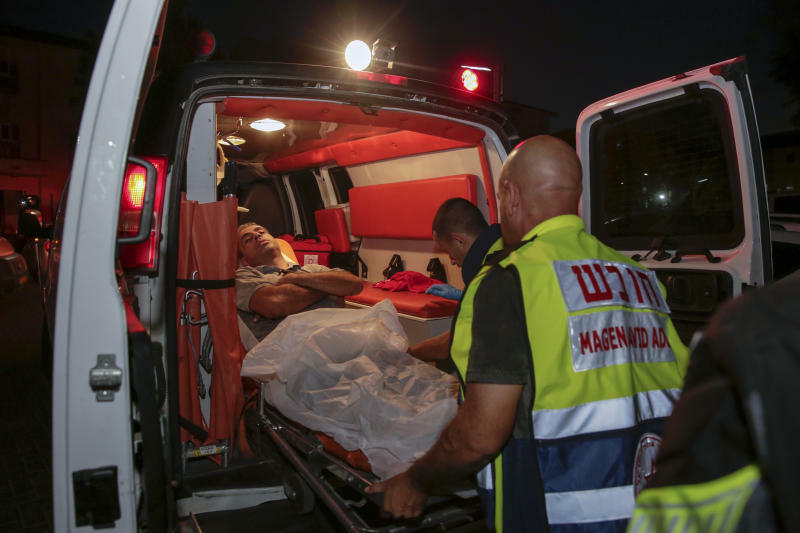 Gaza's Health Ministry said three Palestinians were slightly injured in the strikes. Israel's military earlier said shots were fired from Gaza at civilians working on the barrier that separate the territory and Israel, damaging a vehicle. Israel said it struck a Hamas post in retaliation. No casualties were reported. On Tuesday, Israel struck a Hamas military post in Gaza, saying it was in response to militant fire at Israeli troops. Hamas said two of its fighters were killed. It also disputed Israel's account, saying shots were fired as part of a graduation ceremony for a group of fighters inside the camp. Jamie McGoldrick, the United Nations' humanitarian coordinator for the Palestinian territories, in a news release called Israel's restriction of fuel imports "a dangerous practice, with grave consequences on the rights of people in Gaza." Israel halted the supply of petroleum and natural gas to Gaza last week in response to incendiary kites and balloons launched from Gaza into southern Israel. Israel temporarily suspended fuel shipments to Gaza in July for similar reasons. Israel has been battling large fires caused by kites and balloons rigged with incendiary devices or burning rags launched from Gaza that have destroyed forests, burned crops and killed wildlife and livestock. The almost daily airborne arson attacks have been part of months of weekly border protests led by the Islamic militant group Hamas that rules Gaza aimed in part at drawing attention to the Israeli-Egyptian blockade imposed after it took control of the territory in 2007. Over the past four months, 158 Palestinians have been killed by Israeli fire, including at least 120 in the protests near the fence and others in Israeli air strikes and other incidents elsewhere in Gaza, according to the Gaza Health Ministry and a local rights group. Twenty-four of the slain protesters were minors, the ministry has said. One Israeli soldier was killed by a Gaza sniper during this period. Israel says it is defending its border and nearby communities and accuses Hamas of using the protests as cover for attempts to breach the fence and carry out attacks. Mahmoud Daher, of the World Health Organization in Gaza, said in a telephone interview "the situation is very serious." He said by the end of the month, all fuel supplied by the U.N. will run out "and the problem is there is no sign of renewed funding from donors in the horizon."